Beat the heat of summer with a build-your-own ice cream sundae party or whip up a batch of Pinterest-worthy popsicles that look as incredible as they taste. Ice cream creations and playful popsicles provide a fun way to cool off while enjoying special moments with the kids. These treats aren’t just for kids, though. Adults enjoy the unique popsicle flavors and building sundaes with their favorite ice cream toppings as much as kids do. Set up a sundae bar that lets everyone at your next gathering choose favorite toppings for a chilly themed party that pleases both kids and adults. Pick serving bowls and utensils that match your party’s theme colors, or consider offering guests edible waffle bowls to reduce waste and cut cleanup time after the party. Stick with one or two basic ice cream flavors to keep things simple for a younger crowd, like vanilla, chocolate, or Neapolitan. Or, break out some exotic ice cream flavors to mix things up. Then, get fancy with the sundae toppings. Encourage guests to put a layer of toppings, like chocolate sauce, under the ice cream for a stunning visual effect. Then, suggest topping it off with flavored toppings like strawberry, pineapple, and Hershey’s chocolate syrup. Add some decorative sprinkles, chopped nuts, whipped cream, and maraschino cherries to the toppings lineup. Ice pops provide another fun way to cool off on hot days, and you can make them as simple or fancy as you like. Start by choosing an ice pop maker. These come in different shapes and sizes to accommodate your needs. Stick with a smaller mold if you’re making popsicles for younger children or dieters, or use a larger one for people with bigger appetites. Plain juice ice-sicles: This works with any juice your family enjoys. Fill the ice pop maker with clear or brightly colored juice. Then put the popsicles in the freezer overnight or until frozen. Juice and fruit popsicles: Drop a few small berries or slices of strawberry and pineapple cubes in the empty popsicle maker. Fill the slots with white grape or another clear juice and freeze. 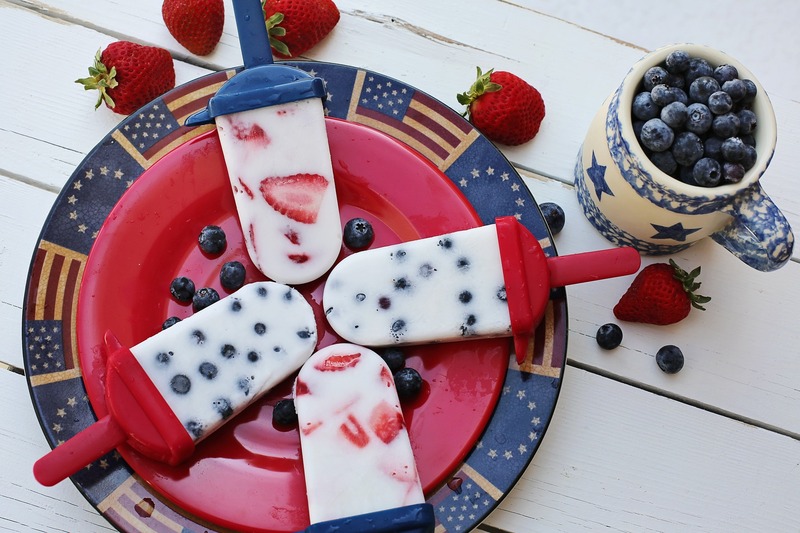 Sweet almond milk and fruit: Put some small berries or colorful fruit slices in the slots in the mold, then fill the slots with sweet almond milk, insert the toppers, and freeze for a fruity, creamy and very pretty ice pop. Candy and juice popsicles: Drop a few small pieces of candy, like gummy bears or Swedish fish in your ice pop mold. Fill it with clear juice or lemonade and freeze it overnight. The keys to knowing how to make ice pops are so simple – they’re knowing what your family likes and making sure there’s a flat spot in your freezer to place the ice pop maker. Then, just unleash your creativity and have fun putting together a variety of ice pop flavors.